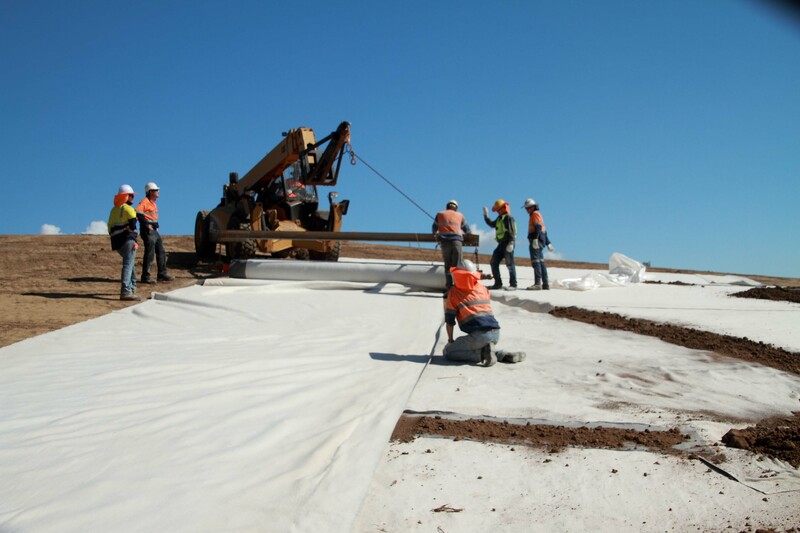 Australian Landfill Regulatory Guidelines place the world’s most stringent controls on geosynthetic clay liner (GCL) manufacturing and quality control from site. Recent specifications were written to build on the Geosynthetic Research Institute-GCL guidelines that were ideal for their time (achieving consensus alone is a remarkable result) but could simply not foresee the demands on GCL design that have arisen in the past decade. Recognizing this, regulatory bodies in the Australian landfill space engaged with key industry expertise to introduce performance requirements that reveal much more about GCLs than basic index testing standards, driven by modern demands in our challenging climate with complex leachates. This has resulted in GCL types in Australia that have different levels of quality when compared to products supplied in overseas markets. Few Bentonite sources are suitable for use in GCLs, and as mined products their properties vary markedly. It is no longer applicable to analyze Bentonites based purely on particle size (ie granular vs powder), and traditional hydraulic testing, swell and fluid loss testing with DI water is insufficient for challenging sites. For the Australian regulations, all bentonites are beneficiated to meet certain criteria. Mineralogy testing is carried out to reveal montmorillonite content (the key clay mineral) vs the percentage of non-swelling impurities, and the critical montmorillonite form (either natural sodium or soda activated). Not all natural sodium bentonites are suitable for GCL use, it is fundamentally critical to understand any raw material versus the type of beneficiation, to establish performance expectations. For activation of Mg/Ca rich sources, the Victorian EPA Guidelines demand XRD analysis in conjunction with statements of “polymers or pH modifiers” designed to maintain the activated state. This statement has been misunderstood by sections of industry who have focused on polymers only, when it is designed to understand additives that provide a specific activation function. Our own and industry research confirms that Soda Ash quantification is a critical requirement on studies that are linked to cation exchange, and site conditions that leave GCLs with low confinement. It is well established that soda ash promotes dispersion and incorrect dosing exacerbates this in low confinement applications, for certain hydrating liquids and is observed during wetting/drying cycles. Mineralogy testing that reveals activation impacts, is therefore a critical link to site longevity. When the blanket term “polymers” is used, it ignores the fact that the bentonite industry has been establishing criteria for polymer types with specific functions and understanding of performance for many decades (nearly 100 years). Understanding the polymer type by molecular mass, ionicity, charge, stability, water solubility/sorption capacity and water release energies provides an immediate indication of bentonite suitability and when linked to an understanding of bentonite mineralogy, elution potential. There are a range of polymer functions, (not necessarily to lift swell), and for a good raw bentonite source, where polymers are used in lower dosage rates, the impacts of soda ash can have a far bigger impact on swell index values, and testing should not isolate one without the other. The key aim is maximise the performance of the polymer-bentonite complex and Geofabrics has conducted extensive testing under a range of conditions and chemistries designed to facilitate polymer elution and crystalline changes. The key advantage of the EPA approach in testing mineralogy and key chemical analysis, is that results can be correlated to the same suite of tests post leachate exposure and for site exhumations. When linked to chemistry of leachate and the surrounding soils, a thorough performance model of the GCL is established. These performance criteria are a key part of the Vic BPEM and have become particularly valuable with the “emerging contaminants” (eg. PFAS chemicals), by understanding that GCLs already installed have a background of mineralogy data that is relevant to current testing. Durability demonstration for the bentonite contained within a GCL is demanded and critical. The Geofabrics GRID Laboratory has a comprehensive library of performance data that includes 12+ site exhumations from GCLs installed from 6 months to 17 years (up to 6 years for GCLs under exposed Geomembranes), leachate compatibility testing from 30+ landfill sites (up to 240 days), 20+ different mine tailings liquors (high pH/low pH) and oil/gas brines with multiple results above 600 days, extending to beyond 1000 days immersion. The information is designed to provide the designer a library of long term data that provides long term surety. For bentonites in GCLs, polymer modifications have been used for specific functions for decades, and many bentonite suppliers provide these additions without notification. It is critical that the GCL supplier provide details for all additives and Geofabrics provides this on a project to project basis with demonstrated testing. The quality and consistency of our raw bentonite linked to huge volumes of MQA data (XRD every 4th truck) and long term performance testing has established key criteria for the bentonite recipe, and an understanding of the beneficiation process and it’s long term performance. My challenge to Australian industry is the opportunity to develop GRI type standards and develop site studies that link to our own regulatory landscape. I would like to see less supplier influence on standards committees that might see greater consensus. The QUELTS studies carried out in Canada in the recent past, are brilliant examples where site conditions can provide a depth of information beyond the intent of the original study for both GCLs and Geomembranes. The opportunity is to build an Australian example that reflects our climate, subgrade conditions and GCLs being used with extensive mineralogy/chemistry testing. This could provide greater consideration of powdered bentonites (only 2 were tested in QUELTS and performed well, there are few granular bentonites in Australia), clay subgrades and GCLs with established polymers. There is extensive geosynthetic, bentonite and polymer expertise in the containment sector in Australia, designers and installers are world class and the regulations challenge the supplier to produce high quality results. 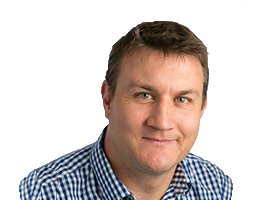 Geofabrics is confident that site studies would reveal the depth of quality that these regulations demand and the importance of undertaking clay mineralogy in critical applications.